For two years, we’ve been dreaming of it. Actually, even before that I was often discussing casually with friends in the north about a wish to create an arts festival in western Lapland. And since one gorgeous July evening spent with the photographer Jaakko Alatalo in Kätkäjärvi, Muonio in 2015 when the specific idea hit us, we’ve been working towards launching the Väyläfestival. And now we’re there! What we’ve created is a new multifaceted arts festival taking place in the Torne River Valley, an area surrounding the border between northern Finland and Sweden. 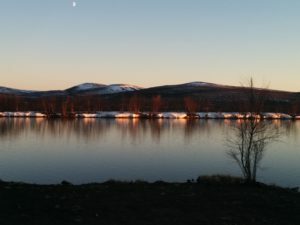 The festival unfolds as a northbound journey along the river, beginning in the Övertorneå municipality on June 16 and reaching the midnight sun in Enontekiö a week later. The festival fills the area’s cultural venues with music, dance, and photography art. We’ve invited artists from Finland, Sweden, and Norway to gather sounds and images on the banks of the Väylä (Eng. Path), as the river cutting across Northern Scandinavia is called by the locals. We’re truly proud to welcome such artists as Henning Kraggerud and the Tromsø based Arctic Philharmonic Chamber Orchestra as well as the modern joikare Simon Issát Marainen, to name just a couple. And then a truly original gem: the Suoni. Created for the Väyläfestival by the artist Katariina Angeria, the dance-performance-work Suoni unfolds as an improvised traversal up the river portraying the artist appearing in such surprising spaces as people’s yards and homes. Angeria at times dances from being a human into water and again back from water into human. 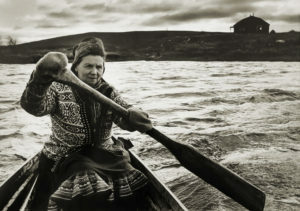 The work pays homage to the people and culture of the Torne River Valley. Posted in Concerts, Festivals, New Music. Bookmark the permalink.